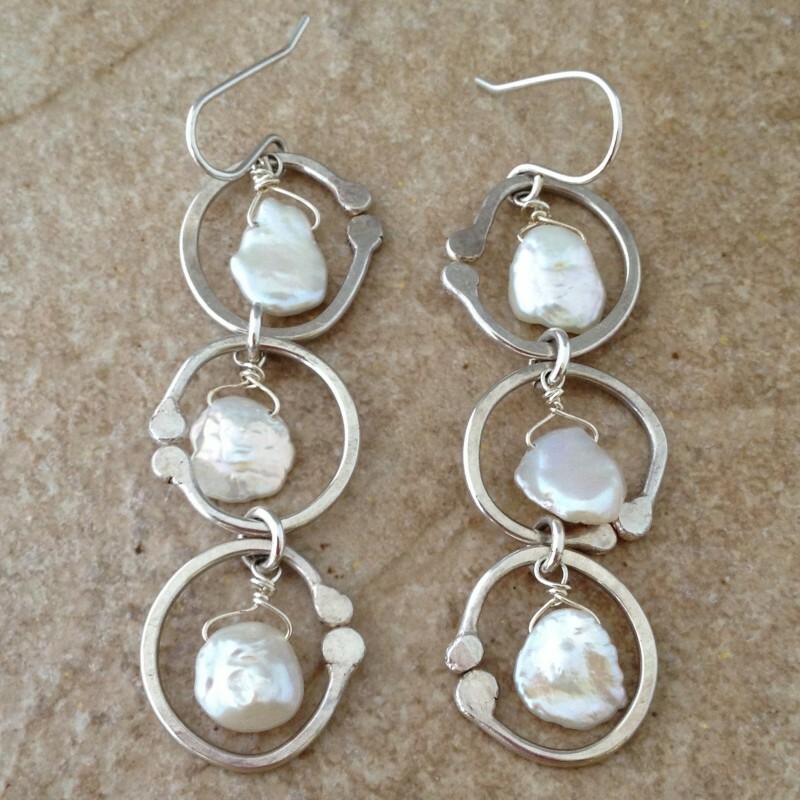 Three sterling silver hoops are handcrafted and hammered. 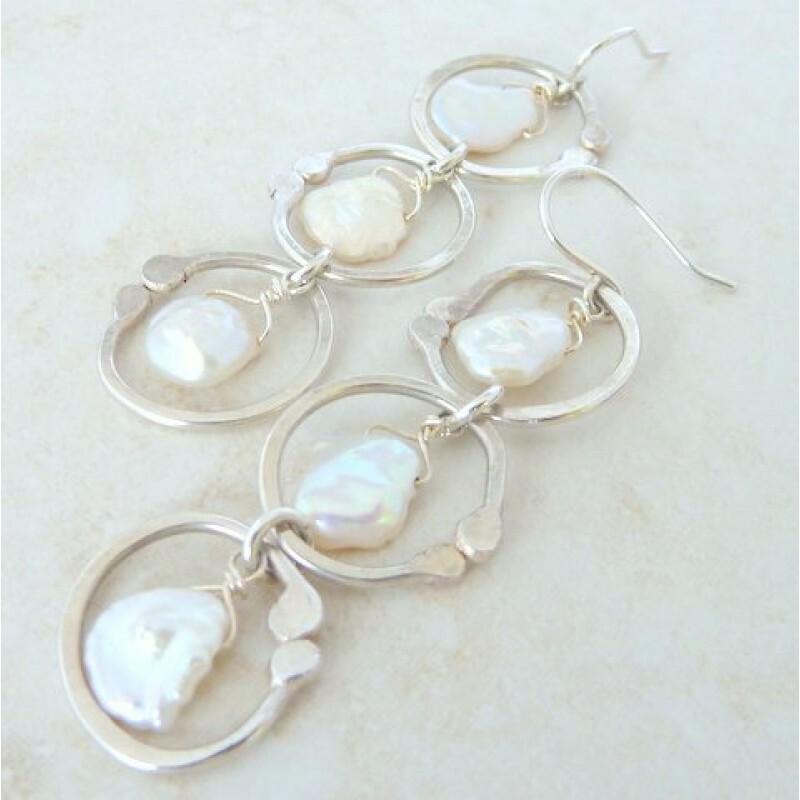 Each hoop frames a fresh water pearl in the shape of a small coin. Dress it up or down - it will look fashionable with every outfit. 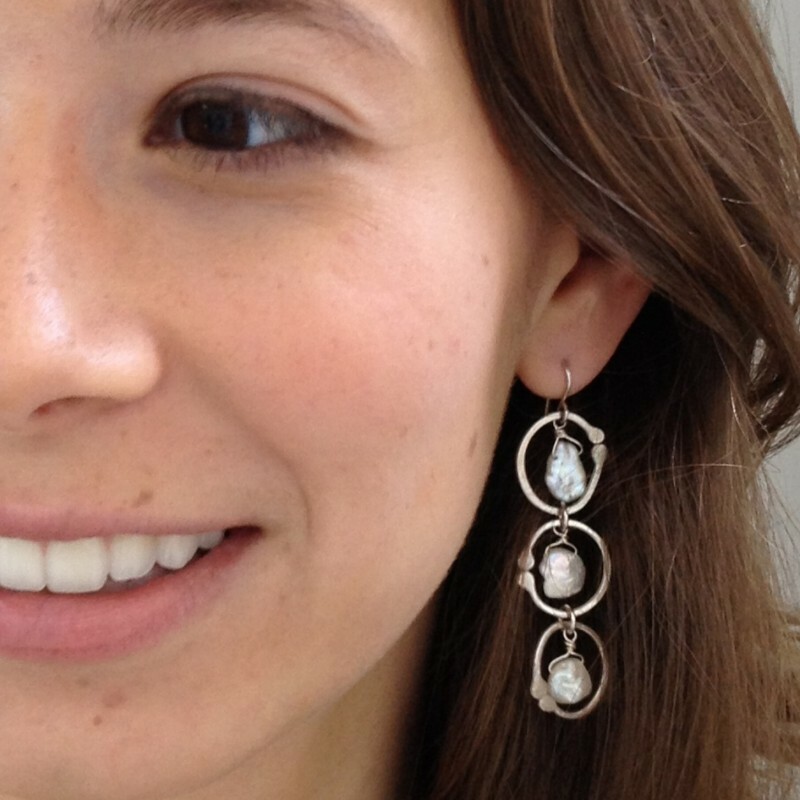 Three hand crafted and hammered hoops create an elongated and elegant earrings. 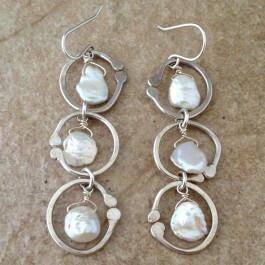 Fresh water small coin pearls dangle from each circle. Perfect for the Spring and the Summer. About 2 1/4 " long and 5/8" wide.